Everyday is a Game Day. Prepare for it. Fuel for it. Train for it. Rest for it. The Athlete Training Centre has been training athletes for over 10 years. WE have the experience and know-how to get you ready for your sport at any level: Professional, Major JR hockey, NCAA & CIS, JR hockey or High School. Commit your time and dedicate yourself and WE will help you maximize your athletic potential. The results we produce will allow you to achieve your goals. Pro, College and JR athletes need to commit 10 to 12 weeks; younger athletes need to commit 12 to 17 weeks. Every year our athletes get faster, stronger and more explosive. We are not about Glitz & Glamour. We expect dedication and relentless effort in the 'Dungeon'. 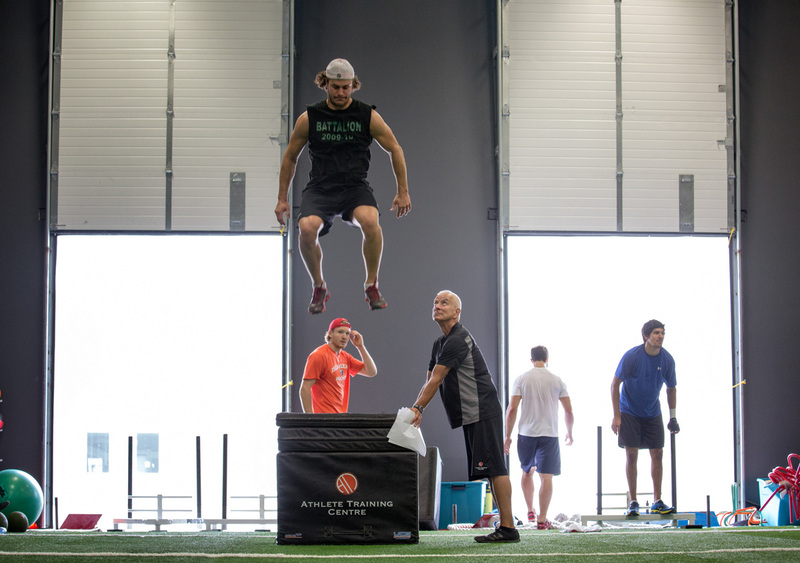 Located in the west end of Mississauga, the ATC is the best equipped facility in Ontario for developing elite athletes. Our Facility features the newest, state of the art indoor turf field.